The 9-3 is the bread-and-butter line-up of the Saab brand, with three body styles and multiple drivetrains to mix and match. The Saab 9-3 received major restyling for 2008. For 2009, the 9-3 gets detail improvements and a broader range. Saab is actually an acronym derived from a Swedish aircraft building partnership created in 1937 that, in addition to cars, builds military fighter aircraft (with jet engines from a partnership between GE and Volvo, that other Swedish car company). From its two-stroke roots Saab has always focused on safety and rally-winning performance, and developed unique vehicle traits and features and a loyal group of owners. It was absorbed under the GM umbrella but has for the most part kept the Saab quirkiness. 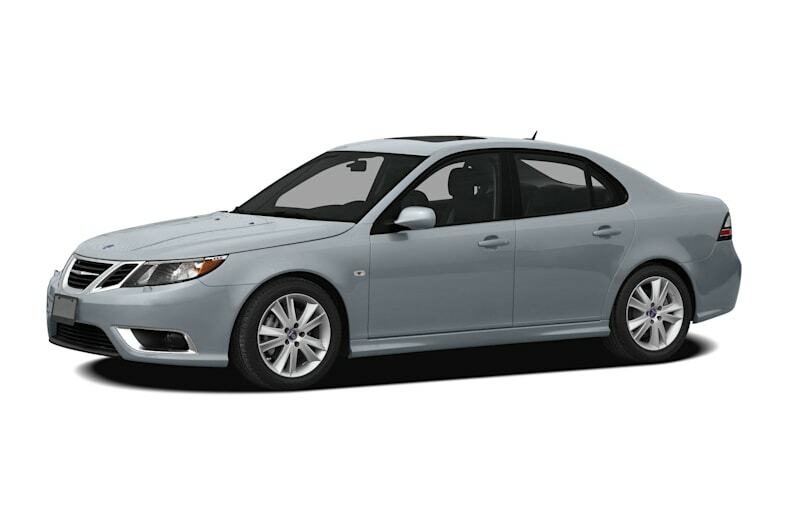 2009 Saab 9-3 Aero models get more powerful 280-hp engines, all-wheel drive (XWD) is available with either engine on every model except the convertible, and Aero XWD units get a sophisticated rear-drive system. Remaining upgrades are primarily cosmetic, ranging from sleeker roof rails on the SportCombi (wagon) to an added gray top choice for the convertible. Other upgrades to entice buyers include XM radio with three month subscription, OnStar 8.0 with turn-by-turn navigation and Bluetooth for a year, and no-charge scheduled maintenance for three years or 36,000 miles. The 9-3 is not a big car, by North American standards a compact premium similar to the Audi A4, BMW 3-series, Lexus IS, Mercedes C-Class and to a lesser extent Acura's TL, Infiniti's G37 and Volvo's S60/V50. It's the right size for urban environs, young families and disorganized professors, and while it hasn't the hatchback versatility of previous Saabs it does have a fold-down rear seat and the wagon is very versatile. Both engines are tuned for daily driving yet still enthusiastic when you desire. Various suspension choices allow comfortable commuting or threading a twisty road, but neither end of the spectrum is extreme and sacrifices anything for it. The 9-3 feels very solid and stable on the road, easily handled by novices and not a bore for those who know how to handle cars. Genuine world cars, the 9-3 uses major parts from Germany, Japan, Australia, and Sweden, and is assembled in Sweden (hardtops) and Austria (convertibles). Throw in some French or Italian tires and all you need to do is wave. Features such as standard leather and dual-zone climate control are just the start, and the quality of the finishes and the clean styling won't leave you thinking you could have done better. Add to that the uniqueness that Saab brings, and you question if the 9-3 gets all the respect it deserves.